Creating your brand’s compelling social media narrative can be overwhelming, but an overarching story is needed to increase social media engagement. Not only do your fans and potential customers want to know about you, your products, and your company’s background, but social media platforms and their algorithms reward pages and accounts that create useful and engaging content that add value to online communities. 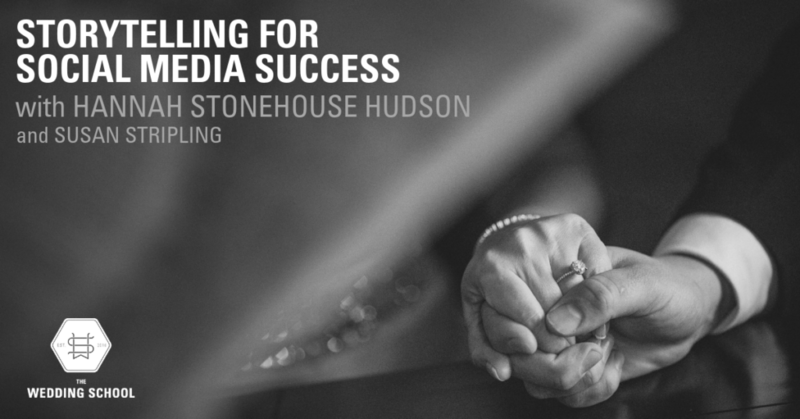 This incredible course by Hannah Stonehouse Hudson will be business-changing, and will help you change your social media narrative today. Where do you find the stories that surround this narrative, and what do you do with them once you have them? Hannah will discuss creating a storytelling strategy that helps you connect with your dream clients. No more obsessing over what to post day to day – after this seminar you’ll have a flexible social media plan set up that takes that stress out of your life. In addition to coming up with a plan for posting, Hannah will also explore the technical items that can either increase or destroy organic reach. These technical items are specific to each platform, and can occasionally change without warning, so Hannah willshow you how to keep up to date on the latest algorithm changes. Knowing the strategy of timing posts, words you should and should NOT use in posts, how to get people to interact on posts, and why hashtags and tagging pages can actually hurt organic reach on certain platforms, are areas that business owners and page admins don’t always have time to learn. This seminar puts all of this in one place, and creates actionable steps that can be implemented immediately and over the long term.